The Big Indie Pitch is a regular event run by the makers of PocketGamer.biz. It sees indie developers engage in a speed-dating-styled pitching competition for fame and those sweet, sweet promotional packages. The event gives indies three minutes to pitch their games to a panel of press, publishers and industry pundits. The judges then pick three winners and everybody gets valuable feedback. The Big Indie Pitch is getting bigger and bigger as we bring it to events all across the world. To give you an idea of what the event is like, who attends the events and the games on show, we've sat down with a number of past BIP contestants to offer their views. 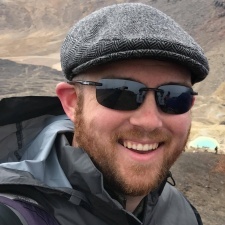 Today, we're speaking to Edgeworks Entertainment's Alexander Winn, who along with Lacey Hannan submitted their game TerraGenesis to the Very Big Indie Pitch at Pocket Gamer Connects San Francisco 2017 and won. PocketGamer.biz: Tell us a little about yourself and your indie studio - who is in the team, and what are their inspirations? 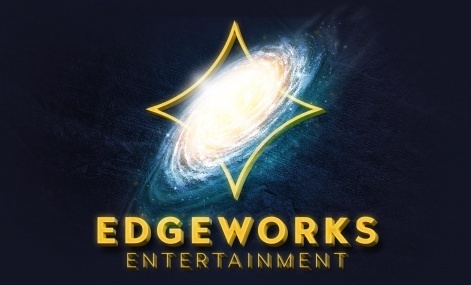 Alexander Winn: Edgeworks Entertainment is currently a two-person operation: I handle the coding, the product development, and the community, and my wife Lacey Hannan handles the business, the company, and soon the hiring effort. We’re hoping to hire more developers soon, to help bring TerraGenesis to Android and eventually develop more products as well, but for now it’s just us! TerraGenesis is a single-player space colonization and terraforming game, allowing players to land on a planet, colonise it, alter the atmosphere and sea level, build a thriving biosphere, develop a unique culture, and ultimately declare independence from Earth. All the planets and moons are rendered using actual data from NASA, so the planet maps are accurate and the starting stats match those in the real world, and the gameplay utilises real science without being intimidating to casual players. We recently celebrated our one-year anniversary by announcing that we’d hit one million downloads, all in the same week that we won the Big Indie Pitch at Pocket Gamer Connects. It was a pretty exhilarating ride! How hard is it to survive as an Indie developer working in mobile? I’ve been working for several years as an indie developer, just making apps in my spare time. TerraGenesis is actually my 25th personal app on the App Store, in addition to the apps I’ve worked on at my day jobs, and it’s the first one that’s taken off. There’s a lot of pretty fierce competition on mobile, but it’s also an incredibly exciting sphere to be working in. The hardest part is just getting the word out: even if you have a unique and polished game that is adored by its players, trying to get people talking about it can feel like shouting into the wind. How did you find the experience of pitching as a part of the Big Indie Pitch? It was so much fun! I’ve always loved talking about my projects, and especially since TerraGenesis had been out for almost a year without any in-person appearances, it was a great opportunity to really get it out there. It’s definitely intimidating, moving from table to table and pitching to people without enough time to get their feedback and gauge how you’re doing, but it was a wild ride and one I’m very much looking forward to repeating! Between the Big Indie Pitch and talking to people on the show floor, by the end of Pocket Gamer Connects I’d gotten my elevator pitch down perfectly. I definitely feel more confident in my ability to pitch the game to strangers in a short period of time. I also got a lot of great feedback, both from people’s reactions and their questions. And of course Lacey and I met so many people at the conference that we’re following up with, who will hopefully be able to help us with TerraGenesis, our company, and all our future endeavours! What are your hopes for this game in the future, and do you have any plans for any future projects? Right now our focus is on completely rebuilding TerraGenesis from the ground up in Unity, so we can bring it to Android and maybe even PC/Mac. Once that’s done, who knows. A sequel is a definite possibility, as well as some spin-off projects we’ve discussed ideas for. It’ll all just come down to how we can grow the company, expand our userbase, enter the Android market and go from there! But there's more! For the first time ever this year we'll be hosting The Big Indie Awards 2017 in association with indieSky. The Big Indie Awards marks the finale of a year of indie pitching and also offers a chance for both our pitchers and also ALL indie developers who may not have made it to our events to put their game forward for a chance of global recognition, some cold-hard cash and a trip to the awards final in Shenzhen, China! You can register for The Big Indie Awards 2017 in association with indieSky right here.